Need Help Writing an Essay? RUSearch is live! Writing an essay can be a real challenge – RUSearch is here to help! This online tutorial, created by the Library and Student Learning Support, provides step by step guidance on how to develop, organize, research and write your essay. By completing the various modules, you can learn how to write a university level essay from start to finish. The tutorial is available whenever you need it, and useful to any student, in any program of study. Try it out and tell us what you think! iDesk and Research Help Desks Have Moved! 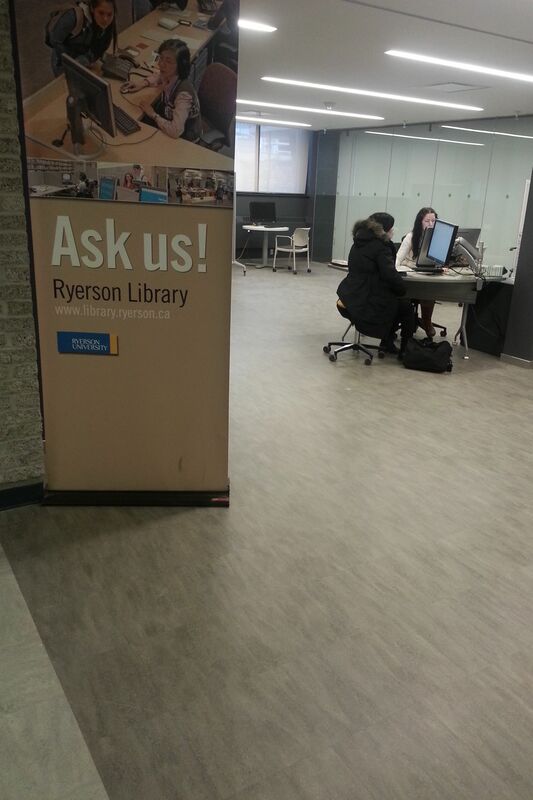 Both the Information and Research Help Desks have relocated to new areas in the Learning Commons. The Information Desk, which was previously located near the Library entrance, is now located next to Technology Assistance, directly in the Commons. Staff at this desk provide information, directional assistance, and known item searches from 9 a.m to 9 p.m., Monday through Thursday, and from 9 a.m. to 7 p.m. on Friday. 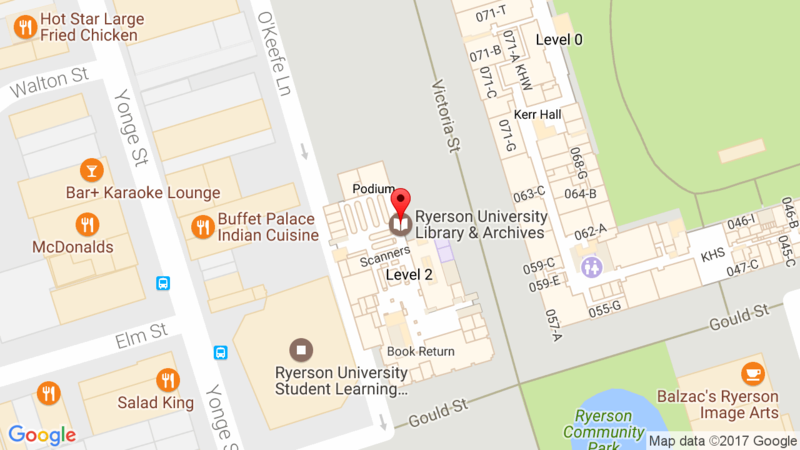 The Research Help Desk is now located near the newly renovated area on the main floor that will ultimately accommodate the connection to the Student Learning Centre, currently under construction. Staff at the Research Help Desk will continue to provide support for in-depth research questions from Monday to Thursday, 10 a.m. to 7 p.m. and Friday, 10 a.m. to 5 p.m. Appointments scheduled through our Book a Librarian service will also be held in this area. On weekends, information and research help will both be provided at the Desk directly in the Commons from 12 p.m. to 5 p.m. We hope this arrangement will allow us to better manage the diverse needs of our patrons. Need Research Help? Chat with Us! Mon-Thurs – 10 a.m. to 10 p.m.
Fri – 10 a.m. to 5 p.m. Sat and Sun – 12 p.m. to 6 p.m. Need to sit down and talk to us about your research? We’d love to help! Book an appointment to get lengthier and more specialized research help tailored to your needs. Appointments will generally be made between 9:00 a.m and 5:00 p.m., Monday to Friday. In addition to our appointment service, there are many ways you can ask for research help – visit us in person, attend a workshop, or chat with us online! Researching at home, or somewhere else on campus? Chat with library staff and get research help when you need it! The Library provides a live chat reference service, Ask a Librarian, which opens today. Ask a Librarian connects students, faculty and researchers from participating libraries with real-time research assistance through chat. Start chatting with us today! To learn more or to start a chat session, please visit the Library website and click on Ask. Still unsure of how to use the library’s Search Everything tool? Help is here! We have uploaded three videos to give users an overview of using Search Everything. You can find the videos on our YouTube channel by browsing the channel or simply by clicking the links below to access the video that best suits your research needs. Please let us know what you think of the videos and which topics you would like to see covered for future videos. Enjoy! Need research help? Talk to a librarian in the Hub cafeteria, who will be available on an occasional basis from 11-1 p.m. beginning Friday, March 26 until Friday, April 9. This pilot service is designed to take our in-person reference services out of the library with librarians using wireless-equipped laptops to answer reference questions at kiosks in various parts of campus.